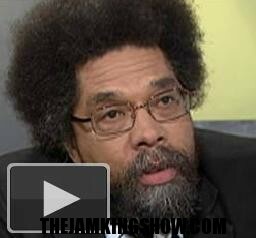 Prof. Cornel West and MSNBC’s Martin Bashir sparred on Bashir’s Tuesday show about President Obama’s leadership. Bashir began the chat by quoting West — who has become a fierce critic of Obama’s, and is part of an effort to mount a primary challenge against him….as saying Obama lacked “backbone” West and Smiley are positionin­g themselves as the official black critics of Obama so that they can continue to be covered by print, TV and radio media. I think that much of their criticism of the president is based on their lack of access to the WH. They both seem to be petty.